Chevys Fresh Mex® is Mexican un-chained. We serve up delicious simplicity in a casual but energized atmosphere. Whether you’re with friends or family, there’s a fiesta waiting for you at Chevys. We pride ourselves in the freshest food and drinks, made every day from scratch. Think California inspired Mesquite-fired flavor with farm fresh ingredients. We use only fresh, top-quality ingredients in our beloved recipes to create a one-of-a-kind fiesta of the senses that inspires celebration amongst food lovers, spice lovers and fun lovers. 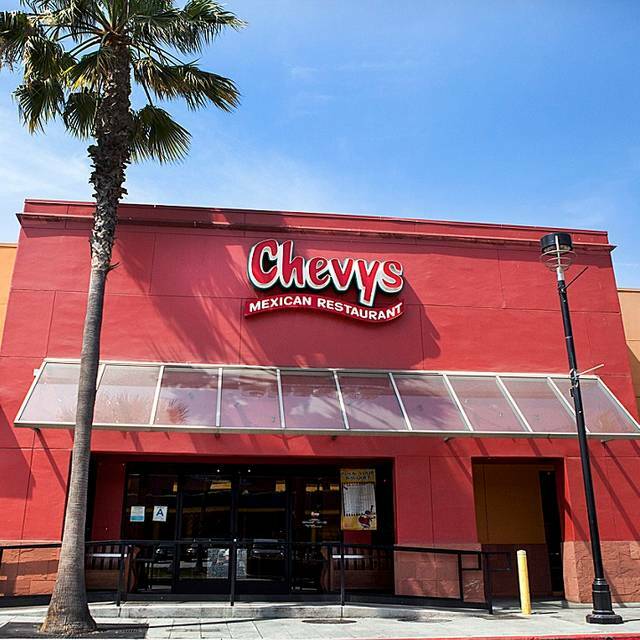 I live in Alameda and Chevys was always one of my favorites. The salsa \used to be great (spicy with a charred roasted flavor). At this restaurant, the salsa was really watery and I honestly don't think it was made fresh. It was very bland and tasted like it had been sitting around for a day or more. The fajitas were just so so. I will not return to this restaurant. Service was very bad. It took probably 40 minutes for my margarita to come. I ended up ordering a second one when it finally came so I wouldn’t have to wait again. -Getting your shrimp fajitas without tortillas. Then waiting 10 minutes for the server to make some. -Everyone else at the table served except 1 person. The server asked, what did you order? -Waiting 30 minutes for a drink from the bar. By the time it arrived, the meal was almost finished. -Long waits for non alcoholic beverages, refills, and for the server to come by and check on us. A good rule is to revisit a table, two minutes or two bites after the food is dropped off, to make sure they have everything they need. Have enough staff working to make sure the customer has a good eating experience. Whatever happened to the person who just makes the tortillas? Spreading it out as side work may save you money, but it doesn't create a good dining experience. Manager was truly helpful and went above and beyond to help me. Great server too. (I believe her name is Marina) she had to help us and serve other tables too. Great place for families, they actually seem to like children. Servers were very attentive to our group of 8 adults and 6 kids. Thank you! Everything we ordered took forever to reach our table. Meals were completed by family members before the other meals were put on the table. It was SO loud. Will never return there. Our server was very nice although got my order wrong. Which it happens not a big deal because I got my food not too long after. My friend and I ordered bottomless mimosas and received our 1st drink after our food which took 20-30 for each drink. I’m the type since I work in the industry not to complain. So I tried waiting patiently but couldn’t believe as I watched server over & over attemp to see if our drinks were ready at the service station but it was never up. I also saw the mimosas in the container on top of the service station siting there. You shouldn’t sell bottomless mimosas if you don’t plan on filling them. There should be a container filled on the table so the customer can at least refill it. There was also no busser to take our dirty plates. Host was fabulous & sat us quickly so 5 stars for her. Mostly disappointed in our slow service coming from the bar. We were late to our Warriors game. I think our server need a little more training on cocktails and service. I order a Beefeater on ice she respone back “ what’s that “ so I told her . When she serve the soda yo my guess we have to ask for the straws . One of my guess did not get his entree until I ask for it 20 mins after I get my. She brought it out right away , which means the food was waiting at the window. It is not a pleasant experience. Consistently great food and good service. Will recommend. Great food and a good time, as always, at Chevys. Food is fresh and served in a short amount of time. Waiter was very attentive without being intrusive. Everything (including the bathrooms, a pet peeve of mine) was clean. The view on the bay can't be beat; make sure you ask for a table near the windows. All in all, a great place for a celebration or just a nice dinner out without breaking your bank account. Perfect place to celebrate a birthday! The chips are so thin and crispy, and the homemade tortillas are so good. The whole staff sings to your table on your birthday and in Emeryville, CA. you also get a great view of the Bay. I was recently here for a birthday party, the reservation was 5:30 but we weren't able to sit until closer to 6:30. From the hostess, it sounded like we needed to wait until more of our party was there but also for the server to start her shift. Since this was a birthday party the timing was pretty important because we had a car coming at 7:30 to take us on to the next phase of the birthday day. I pulled the server aside to let her know it was his birthday and we had a time constraint. The server took the comment well and assured me we would have no problem with timing but that really wasn't the case. I asked her again when we had not ordered food until 7 that we would still be able to make it by 7:30 and I had to physically bring the bill up to where I saw her go in the kitchen at 7:35 to make sure the car did not leave us. I don't have any issue with the server, she just did not go "above and beyond" nor did she do anything for the birthday boy. My meal actually never came out but since we were not able to order until 7:00 I did not want to complain and make things take longer. The poor server just looked overwhelmed with too many parties in her section but 2 hours should not feel rushed and I should not leave a restaurant hungry because I feel like I'm bothering the server when I ask for help. Lesson learned and I will not be coming back. Food was ok....tableside hand made guacamole was delicious! We were a table of 8 and ordered various items which the fajitas were ranked good....enchiladas were ok. The price point for the food is a little high, but you pay for the bay view and the margaritas are good. The food and service was good, though chips and salsa were delayed due to not everything being prepared when we arrived. We ordered the Shrimp and Crab Enchiladas which while good were overpowered by the pesto and cheese sauces, so it was near impossible to taste the meat inside. We recommend that the sauce is pulled back on a bit so to more properly balance the flavors. Your salsa with chips never seems to be very fresh. Other Mexican restaurants I have tried are much better than yours. Something is lacking. It was great afternoon! !Good food , my margarita was so sweet but good!! She was so helpful. She has a million dollar smile and really knows her craft. Good food that came out hot and great service. Ended up staying longer than anticipated and waitress was great at refills even post meal. Service seems to have really gone down hill which is too bad. Food is always really good but service is terrible. As we are mid thirties I think we were identified as a non priority table and just felt ignored. They didn’t have blackberry mojitos or carnitas unfortunately so we had to change our order. We ordered fajitas and had to ask another waitress to get us tortillas after our waiter said he would be back with them. Instead he stood off chatting to the side. My strawberry Cadillac margarita came once with a salt rim and second with sugar which was strange And I had to ask for the shot that came with it. It was a little busy but we sat for an hour and ate our appetizer and was done with it before ordering our meal. Our waiter just didn’t seem interested in us and we had to flag him down Never asked how our meal was or anything. Just dropped off the check. The food was not as good as it usually is. One of my tacos looked as if someone bit into it and the chicken burrito ordered by my family member barely had chicken it but instead was stacked with primarily beans and rice. We sent it back. The managed did cut the price of my meal in half and didn't charge us the returned "chicken" burrito. Also, the Fajita Nachos looked like an afterthought, like someone just threw them on the plate. This experience was far different than my last visit, which is why I was so surprised and disappointed. 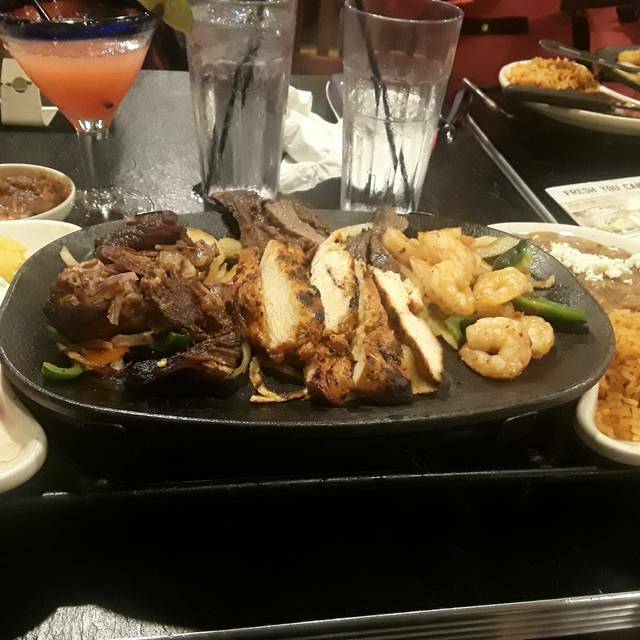 Very good service,food hot and delicious and waitress super friendly and show to my mama how to flip the tortillas and take him out, and my surprise it was they sing my birthday and they gave me a cake that was a lot of fun I enjoy it. Food isn’t the best testing. I prefer authentic Mexican. But the service was great and restaurant was clean. Waitress was amazing and good food! Chevys was never anything to phone home about, but they have really gone down hill. Waited 5 minutes before we finally sat ourselves with no menus. Another 5 minutes just to get water. Service all the way through was awful. Food was okay minus the queso, which tasted like canned nacho cheese. Fully aware Tex mex is not ever meant to be authentic, but Chevys was always good for Tex mex standards. They are unaware they have Open Table. We booked reservations and are from out of town. Luckily they weren’t so busy so they were able to seat us. If you are making reservations CALL THE LOCATION.